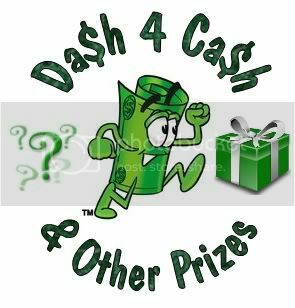 Home Events Dash 4 Cash TONIGHT 9p–10p EST:($400 in prizes) Win Amazon Codes, Free Coupons, Gift Cards & MORE! The next Dash 4 Cash will be held TONIGHT (7/20) from 9PM – 10 PM EST. Several blogs have joined together to give you the chance to win $350+ in great prizes. This week we are going with mystery prizes (LOTS of free Amazon Codes, clipped coupons, free coupons, Starbucks Gift Cards, and more!) Each blog is contributing a prize for one winner. Where can you find the giveaway? The giveaway “Dash 4 Cash” tab will be located on the left sidebar of Living on Love and Cent’s Facebook Page and also on the tabs of the other blogs participating. At 9pm EST, you can click on the tab and start “liking” as many pages as possible (until 10pm EST). I will meet you here or on Living on Love and Cents Facebook page at 8CST / 9EST Tonight!